This Multilayer Chip Antenna series is designed for the applications covering ISM band, WiFi, Bluetooth & Zigbee at 2.4 GHz,China Mobile Multimedia Broadcasting (CMMB-2635–2660) MHz, IMT bands (2.3 ~2.4 GHz and 2.5 ~ 2.69 GHz), and WiMax bands. These parts offer common features; omni-directional radiation patterns, compactsize, light weightand lowcost, making them suitable for built-in antenna applications. These antenna designs offer an excellent combination of size, gain and bandwidth, and can be mounted with normal SMT processes. Ceramic Chip Antennas are sensitive to their application environment, such as location of ground planes, the thickness of the PCB layers & dielectric constant and the proximity to other objects. 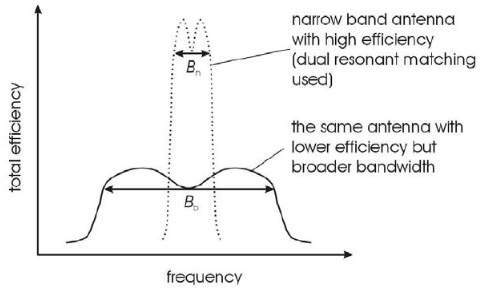 These parameters affect the actual centre frequency, gain and bandwidth of the antenna.